Thanks for joining this week’s webinar on how to design open source databases for high availability with Ashraf Sharif, Senior Support Engineer at Severalnines. From discussing high availability concepts through to failover or switch over mechanisms, Ashraf covered all the need-to-know information when it comes to building highly available database infrastructures. It’s been said that not designing for failure leads to failure; but what is the best way to design a database system from the ground up to withstand failure? Designing open source databases for high availability can be a challenge as failures happen in many different ways, which sometimes go beyond imagination. This is one of the consequences of the complexity of today’s open source database environments. 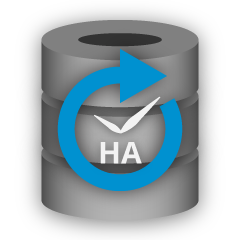 At Severalnines we’re big fans of high availability databases and have seen our fair share of failure scenarios across the thousands of database deployment attempts that we come across every year. In this webinar replay, we look at the different types of failures you might encounter and what mechanisms can be used to address them. And we look at some of popular high availability solutions used today, and how they can help you achieve different levels of availability. Why design for High Availability?